Home Health What is common cold treatment for common cold? What is common cold treatment for common cold? India 20 August 2016: The common cold which is also known as acute viral rhinopharyngitis, or acute coryza. It is a viral infectious disease that infects the upper respiratory system. Being the most common infectious disease in humans, the cold is mainly caused by coronaviruses or rhinoviruses. Colds are so common and recurring because the human body can never build up resistance to all the viruses that can cause the common cold. An average human catches common cold 7 times a year. Hot beverages help in getting quick relief from the symptoms of cold like sore throat, runny nose, and fatigue. 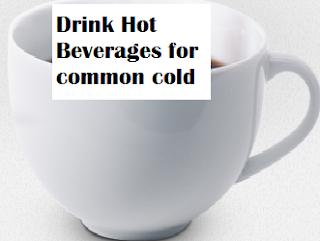 As drinking hot beverages helps in loosening up your sinus secretions. Hot beverages like herbal teas work the best to provide relief from common cold symptoms. 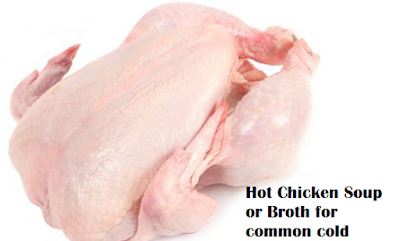 Chicken Soup is a great tasting home remedies for common cold and cough. It not only tastes great but it also provides you quick relief from the symptoms of common cold. You can have any homemade soup as remedy for cold. Take a cup of chicken broth. Add chopped garlic to it and bring it to a boil. Top it up with some cilantro. Sip on this chicken soup to get relief from the symptoms of Common cold. When you have common cold it congests your nasal passage making it difficult to breathe. Taking a steam bath when you have cold helps to decongest the nasal passage and gives relief from fatigue. Fill a bathtub with warm water and soak in it for 15 to 20 minutes. If You don't have a bathtub then you can soak your legs in a bucket half filled with warm water which will also give you relief. If you are in no mood to soak yourself in warm water, but want relief from cold try the steam inhalation technique which decongests the nasal passage. Take a small bucket of steaming hot water. Wrap a towel round your head. Inhale the vapors coming from the hot water it will decongest your nasal passage making it easier to breathe. Optionally you can also add a few drops of eucalyptus oil in the hot water if you like. Garlic is known for its numerous beneficial properties for health. Garlic is a powerful antioxidant with antimicrobial, antiviral and antibiotic properties. For colds and flus, it also provides decongestant and expectorant effects. Chewing on raw garlic causes a chemical reaction which releases allicin. Allicin is a powerful antibacterial only present for a short while after garlic is crushed. 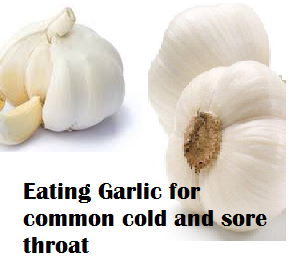 Eating fresh garlic is sure to knock out the bacteria causing common cold. Munch on one or two fresh garlic cloves. Let me warn you the taste is not so pleasant. If you dont want to munch on fresh whole garlic cloves then you can try this. Crush up to two cloves and let the minced garlic rest for about 15 minutes, allowing the allicin in garlic to activate. Add honey or a touch of olive oil to this crushed garlic to reduce the pungent taste. Common cold causes inflammation and ginger is well known for its anti-inflammatory properties. Its natural spiciness helps clear congestion in the nasal passage. You can add shredded ginger to herbal teas. You can also Ginger to hot soups or broths it is sure to help you fight the symptoms of Common Cold. Honey is well known for its antiviral properties. Common cold generally causes a sore throat. Honey helps in soothing sore throat. Antioxidant properties present in honey help the immune system fight viruses and bacteria. You can directly take a tablespoon of raw honey twice a day to get relief from the symptoms of Common Cold. 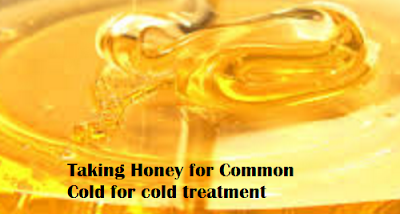 You can also mix raw honey with warm milk or herbal teas and drink it before going to bed for quick relief from cold. 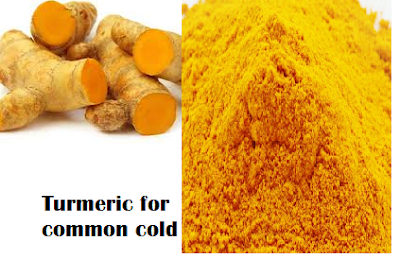 Turmeric is a herb used to get quick relief from the symptoms of Common Cold. The curcumin present in turmeric is said to have numerous health benefits. Turmeric is known for its antibacterial and anti-inflammatory properties. Turmeric helps in relieving chest congestion and clears the nasal passage. Sore throat is a major symptom of Common Cold. 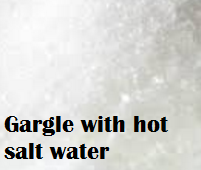 Gargling with hot water soothes sore throat and gives you relief. Warm water helps in hydrating the throat and salt helps fight the infection. Gargle twice a day to get relief from sore throat. 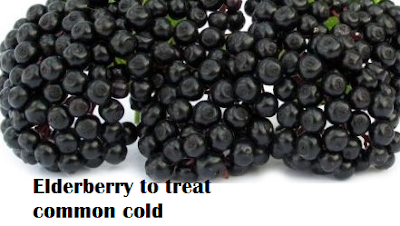 Elderberry is an age old herb which is said to provide relief from common cold effectively. The bioflavonoids present in Elderberry improve your immune system. Common cold causes swelling in the sinuses, the anti-inflammatory properties of Elderberry helps in providing relief from this inflammation. Elderberry syrup is easily available in any chemist. Have a tablespoon of Elderberry syrup twice a day for quick relief from common cold. We all know that essential oils are good for massaging the body, but they are also useful for getting rid of Common Cold. Eucalyptus oil helps overcome nasal congestion, peppermint oil functions as a nice expectorant. The aroma helps soothe your nerves and promotes a sense of relaxation. You can use essential oils for massaging your chest and neck during cold to give You a relief. You can also add these essential oil while taking a warm water steam bath. Studies have proven that zinc boosts your immune system and helps your body fight bacteria causing cold. 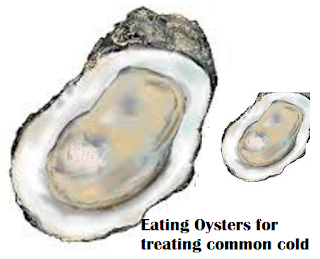 Oysters are a rich source of zinc, and provide more zinc to our body than any other food. Mushrooms contain some of the most powerful natural medicines on the planet, especially for boosting your immunity during cold and flu season. Hence mushrooms are a good addition to our diet when we have common cold. Greek Yogurt is rich in probiotics which make our immune system strong. We recommend you to have unflavored greek yogurt. You can top with honey to increase the flavor and cold fighting properties. The herb chamomile helps in providing relief from common cold. 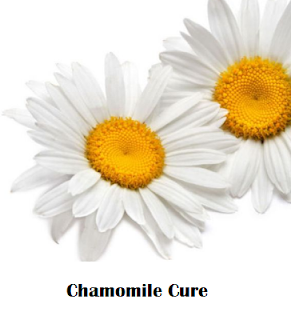 Chamomile helps in clearing your lungs and nasal passages. It is also known for its anti-inflammatory and antibacterial properties. Chamomile leaves can be added to hot water while taking nasal inhalation. You may also drink chamomile tea to get relief from a sore throat and blocked nose. Saline nasal drops are easily available in any chemist. Saline nasal drops give you relief from blocked nose caused by common cold. Boil eight ounces of water and add 1/4 teaspoon of salt in it. Fill this salt solution into a nasal spray bottle and use it four to six times a day. 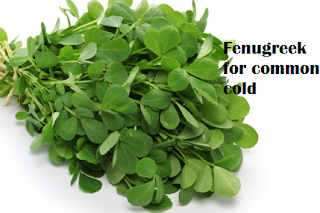 Fenugreek has proved to be an awesome home remedy for common cold. Fenugreek has strong antiviral properties which help in fighting cold and flu. Mix the water with some honey and drink it. Cold means collection of mucus in your respiratory track. Drinking a lot of fluids makes the mucus thin and flowing and can be easily expelled by our body. Drink atleast 8 ounces of water every 2 hours. To fight cold your body uses a lot of energy, hence its adcised for you to take enough rest so that you do not exert your body a lot. Taking rest helps your body recover from common cold quickly. Vitamin C helps in improving your immune system. A healthy immune system helps you fight common cold viruses better and provides quick relief from common cold. 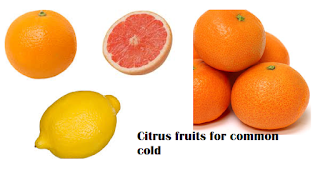 Citrus fruits are a rich source of vitamin C hence we should include citrus fruits in our diet to fight cold.